A simple guide teaches users how to make excellent brochure easily with Edraw brochure software. Edraw is an excellent brochure maker coming with extensive built-in brochure templates. 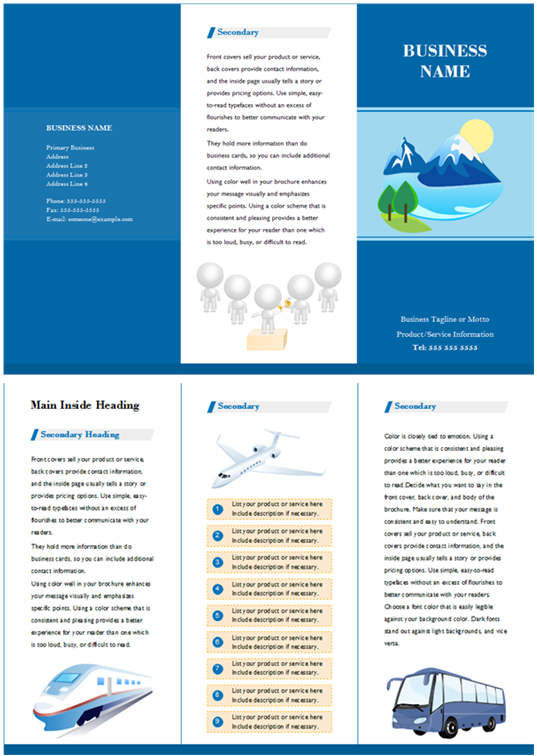 You can create a brochure from scratch or from a ready made template. 2. 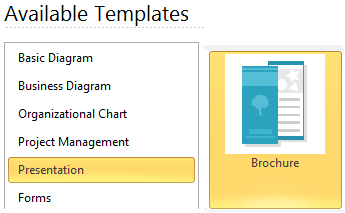 Click Presentation from the Template Category, and then select Brochure icon. Double click the Brochure icon to start a new drawing page. 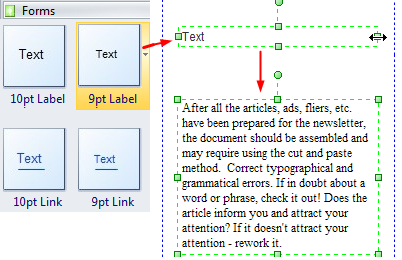 Click Brochure, and from the corresponding Example Window, choose a brochure template and double click it to edit. 1. 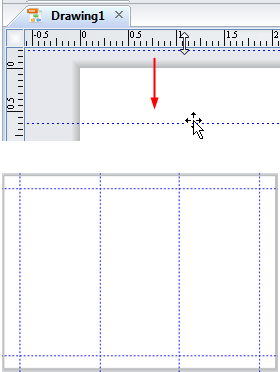 On the left of the canvas, from Form library, drag a text field and place it to the right position. 2. Adjust the picture's size to fit your design. 3. Drag and place the picture to the exact position. You can use arrow keys to nudge the picture into position. Edraw has included a large collection of vectorial illustrations and many diagram types that you can use in your brochure. 1. Click Library button on the top left corner of the canvas. 2. From the pull-down menu click illustration. Many sub categories will appear. 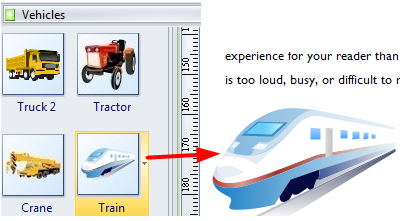 Click a desired one to open, and all illustrations in this category will show in the library pane. 3. Drag and drop an illustration to the correct area. You can use arrow keys to nudge the picture into position. 3. 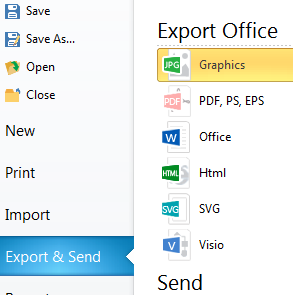 Choose a format and export the brochure. 3. Set the print options and print the brochure. Edraw has elaborately designed a collection of delicate Brochure examples and templates. Go to the template pages and get free downloads.